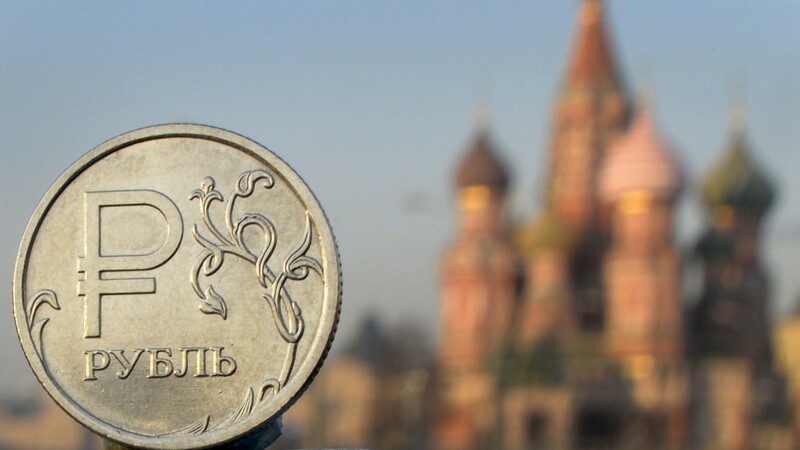 Russia's economy is crashing and its currency appears to be in free fall. The ruble plunged by about 12% Monday, meaning it's lost nearly 50% against the dollar this year. Early Tuesday in Russia, the central bank hiked its key interest rate for a sixth time this year to 17% from 10.5%. A double-whammy of collapsing oil prices and Western sanctions is driving up inflation. Cash is flooding out of the country and the risk that some Russian companies may default is increasing. Russia's central bank has not only been raising interest rates, but has spent nearly $90 billion trying to defend the ruble and prevent prices spiraling out of control. But investors are growing increasingly alarmed about the prospects for the Russian economy. The Bank of Russia said Monday that the country could sink into a deep recession next year if oil prices remain at $60 a barrel. GDP could contract by as much as 4.7% in 2015, and then by a further 1.1% in 2016 unless oil prices pick up. 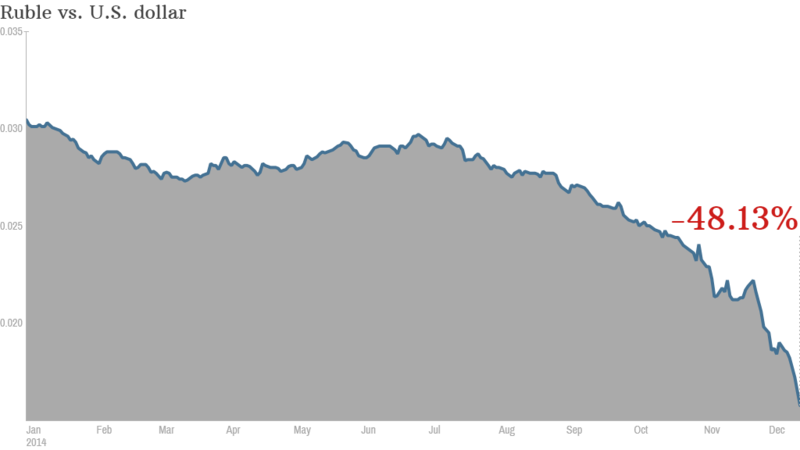 The falling ruble makes it harder for Russian companies and banks to repay their foreign creditors. Russia has relatively low government debt and hefty international reserves of about $430 billion. Yet Wall Street has pushed up the yield on Russian government debt, betting on greater risk. The cost of insuring Russia's five-year bonds have also risen, to their highest levels since 2009. A collapse in oil income takes a bite out of government revenue, meaning it has less to spend. President Vladimir Putin has already ordered government departments to cut their budgets by 5%, and more cuts could follow. Defense and national security has so far been spared the ax -- Russia is pumping trillions of rubles into modernizing its military. Related: Could Russian economic turmoil lead to Putin's downfall? Ordinary Russians are feeling the squeeze instead. Consumer price inflation is expected to hit 10% by the end of the year, in part due to the weakness of the ruble, but also due to a ban on imports of most food products from the West. That was retaliation for U.S. and European sanctions imposed over Russia's actions in Ukraine. Even the price of bread is rising, prompting some Russians to begin hoarding staples. Putin's approval rating remains high but Russians are losing confidence in the future. Some opposition politicians say the economic storm will eventually sweep Putin from office. "In three years the situation will change," Dmitry Stepanov of the liberal RPR-PARNAS Party said at an opposition conference in Moscow this week. "The country is in economic crisis and no one in the government knows how to solve that."